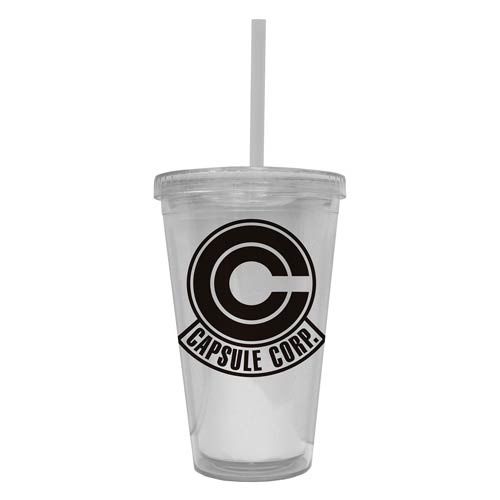 Show your love for the technological pioneer company, Capsule Corp.! This Dragon Ball Z Capsule Corp. 16 oz. Travel Cup features an image of the company's logo on a clear acrylic. Hand wash only. Not dishwasher safe. Do not microwave. Ages 12 and up.